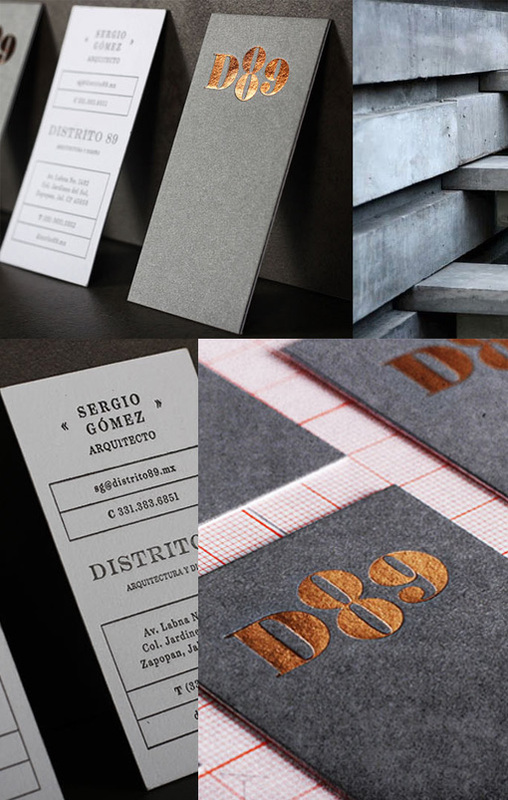 These chic and stylish business cards were designed for an architectural firm. The cards have been letterpress printed in black on a white card stock for the back of the card while the front of the cards has a distinctive logo picked out in a bright copper foil against a matte black card stock. The two layers of paper have been laminated together to form on thick card which has a white back and black front. There's lots of eye-catching contrast here with the design being kept relatively simple to ensure that the details don't overwhelm the slick styling.